Posted June 26, 2017, 12:38 p.m. 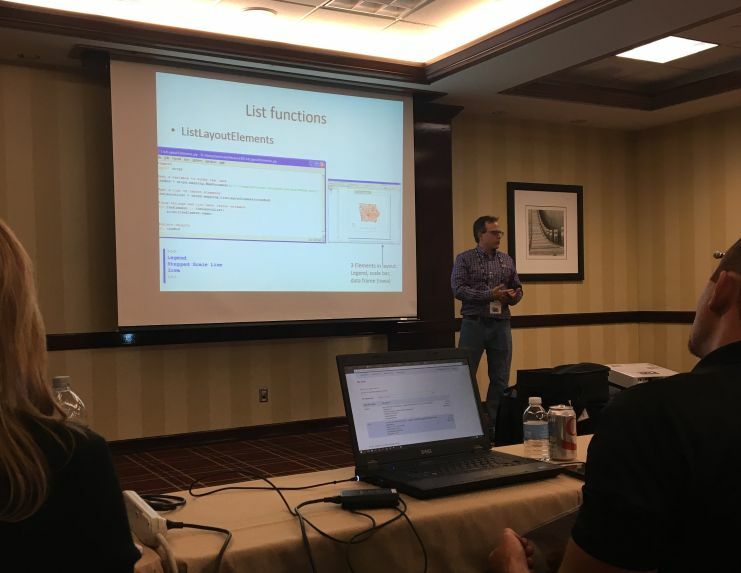 The UNI GeoTREE Center (John DeGroote) provided a one day training workshop on the use of Python for GIS programming, specifically focusing on ArcGIS. The workshop was presented as a pre-conference workshop at the first Iowa Technology and Geospatial Conference on June 20, 2017. The workshop was attended by approximately 40 participants from universities, local/state/federal government, and private industry. John also presented a separate one hour presentation on the same subject during the main part of the conference. Posted June 26, 2017, 12:27 p.m.
GeoTREE students Brandon Lane and Ben Gavin each presented a poster at the first ever combined Iowa Technology and Geospatial (ITAG) Conference in West Des Moines (June 21-22, 2017). Ben presented a poster detailing GeoTREE efforts working on a GIS-urban stormwater modeling project funded by the Iowa Department of Agriculture and Land Stewardship. Brandon's poster detailed work by GeoTREE Center on updating the National Hydrography Dataset in Iowa in collaboration with Iowa Department of Natural Resources. Posted March 27, 2017, 7:41 p.m.
A new version of ArcSLAMM package can be downloaded from our ArcSLAMM page. The new version is linked from ArcSLAMM v2. Please read the description at that page. 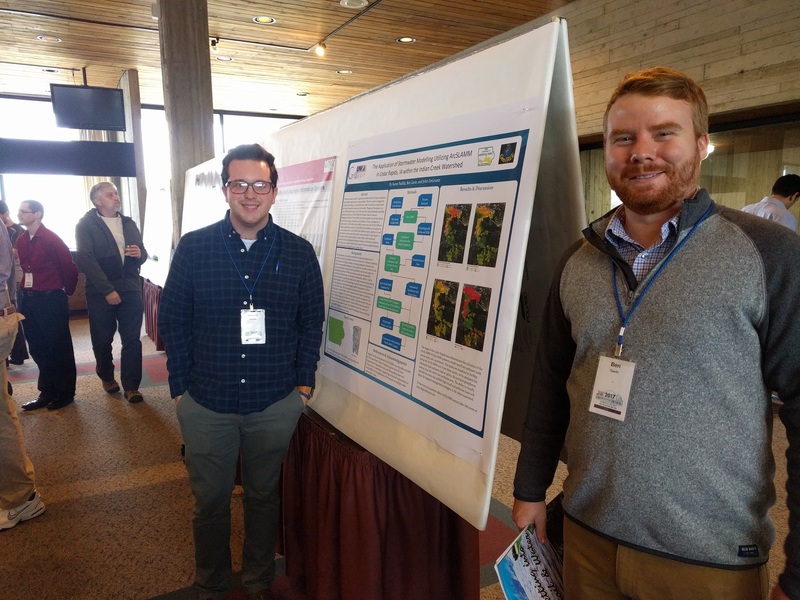 Posted March 27, 2017, 5:10 p.m.
John DeGroote and students Ben Gavin (undergraduate) and Aaron Padilla (graduate) presented results of an Iowa Department of Agriculture and Land Stewardship funded project at the 2017 Iowa Water Center conference in Ames on March 23-24, 2017. They presented (oral presentation by John and poster by students) progress on a project developing and applying GIS databases/custom tools that work with an urban stormwater model. The presentations detailed the tools and application to several urban watersheds in Iowa.